Francis summoned 34 of them to Rome for a series of talks starting on Monday, to discuss the crisis and paedophilia scandal in the Chilean Church. These ended on Thursday, after the pope wrote the bishops a letter thanking them “for the full willingness that each showed to join and collaborate in all those changes and resolutions that we will have to implement in the short, medium and long term, necessary to restore justice and ecclesial communion". The clerics then made their announcement on Friday. “We want to communicate that all us bishops in Rome have presented the Holy Father with our written resignations, so that he may freely decide for each of us". 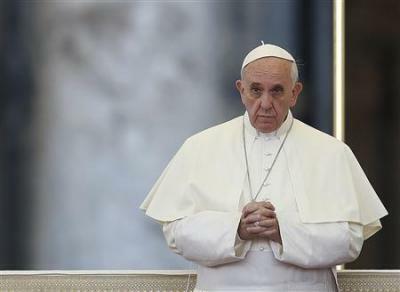 The pontiff will now decide in the next few weeks whether to accept these resignations. “When we held the first press conference last Monday, we said we’d come with pain and shame to these meetings with the Pope,” Bishop Fernando Ramos told the press. However, in a press release statement, the Chilean bishops said: "We are moving forward, knowing that these days of honest dialogue have represented a milestone in a profound process of change led by Pope Francis. In communion with him, we want to restore justice and contribute to the reparation of the damage caused, to give new impulse to the prophetic mission of the Church in Chile, whose centre should always have been in Christ ". The Chilean bishops, whom the Pope has dedicated many hours to over the past four days, thanked Francis for his “pastoral and personal dedication, as well as for the effort invested in recent weeks to try to heal the wounds of society and the Church of our country."